immigration. Through an illuminating series of particular invasions, including the English sparrow and the eucalyptus tree, what he finds is that we have always perceived plants and animals in relation to ourselves and the polities to which we belong. 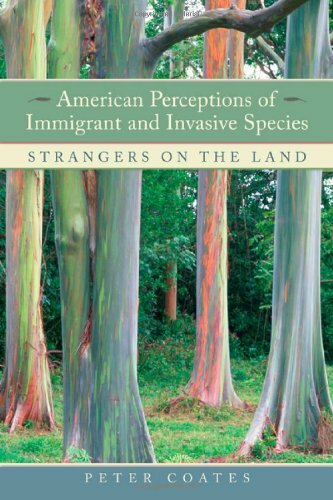 Setting the saga of human relations with the environment in the broad context of scientific, social, and cultural history, this thought-provoking book demonstrates how profoundly notions of nationality and debates over race and immigration have shaped American understandings of the natural world. Peter Coates is Senior Lecturer in the Department of Historical Studies at the University of Bristol.